Apple made the new iPad Pro available for purchase today. 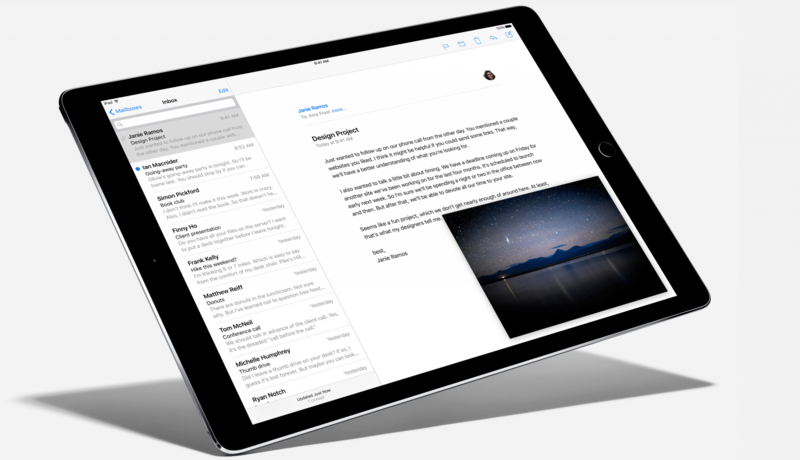 The iPad Pro is the largest iPad to be announced as part of the iPad lineup comprising of the iPad Air and iPad Mini. Tim Cook, the Chief Executive Office of Apple claims that the iPad Pro can be the replacement to a computer for many. The iPad Pro weighing in at 1.97 Ibs and 6.9mm thin, packs a 12.9 inch screen giving a resolution of 2732-by-2048 and a new A9X chip doubling the performance of the A8X. The iPad Pro also comes with 4 speakers with 2 on either side to provide stereo effect. Apple claims that the speakers will automatically adjust balance depending on the orientation your holding the iPad Pro to deliver a great listening experience. Apple revealed during its September event that the primary reason for choosing 12.9 inches as the size for the screen is so you can run 2 apps in portrait orientation side by side in splits screen mode simultaneously. 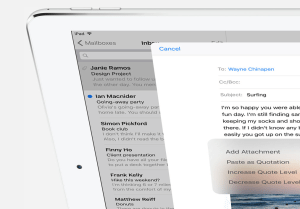 All this in addition to iOS 9’s multitasking features. Apple is launching a couple of accessories with the launch of the iPad Pro: Apple Pencil, which is Apple’s version of a stylus enabling precise drawing and writing features.The stylus can be charged using a lightning port that can be plugged straight into the port of the iPad Pro for charging or through a small adapter which can give you the ability to connect it directly to a power source using the lightning cable. The Apple Pencil costs $99 and is sold separately. 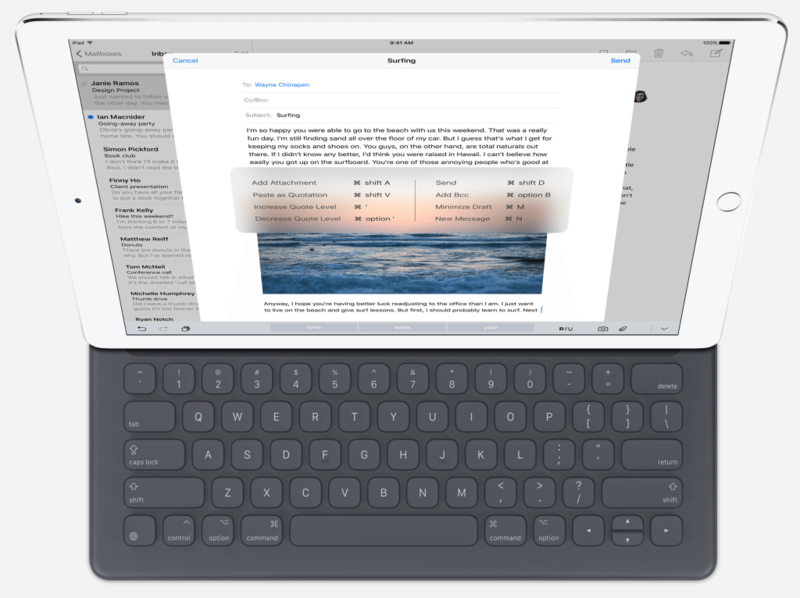 Another accessory is the ‘Smart Keyboard’ which is also an exclusive for the iPad Pro. The keyboard connects to the iPad using a special connector called the “Smart Connector” consisting of 3 magnetic pins that allow for data transfer and power. This keyboard also acts as a cover when closed just like Apple’s other smart covers. The iPad Pro will come in Space Grey, Gold and Silver with 3 variations to choose from: 32 GB WiFi for $799, 128GB WiFi for $949 and 128GB WiFi + LTE version for $1079. The iPad Pro faces direct competition from devices such as the Microsoft Surface Pro 4 and Surface Book. Whether the iPad Pro lives up to the hype is yet to be seen.